Born Ellen Henrietta Swallow, she was the daughter of an old but relatively poor New England family. By the time she reached her mid-20s, and after years of teaching school, tutoring, and cleaning houses, she had earned enough money to attend one of the new women’s colleges. With the $300 she had saved, she entered Vassar College in Poughkeepsie, New York, in 1868 as a special student and graduated two years later. At Vassar she was attracted to astronomy and chemistry. Upon graduation she applied for positions with various industrial chemists, but was turned down in all cases. At the suggestion of one of these chemists, however, she applied and was accepted as a special student at the Massachusetts Institute of Technology, making her the first woman in America to be accepted by a scientific school. Three years later she received a second bachelor’s degree—a B.S. from MIT—as well as a master’s degree from Vassar, to which she had submitted a thesis on the chemical analysis of an iron ore. She then continued at MIT with hopes of earning a doctorate, but MIT was not to award its first doctorate to a woman until 1886. In 1875 she married Robert Hallowell Richards, chairman of the MIT’s mining engineering department. Supported in her ambitions by her husband, Richards volunteered her services as well as $1,000 annually to further women’s scientific education at MIT. Through her efforts, the Women’s Laboratory was established in 1876, and in 1879 she was recognized as an assistant instructor, without pay, for teaching the curriculum in chemical analysis, industrial chemistry, mineralogy, and applied biology. The laboratory was closed in 1883 after MIT began awarding undergraduate degrees to women on a regular basis and there was no more need for a special track. Coincidentally, in the same year MIT opened the nation’s first laboratory of sanitary chemistry (1884), she was appointed as an instructor. In 1887, at the request of the Massachusetts State Board of Health, Richards and her assistants performed a survey of the quality of the inland bodies of water of Massachusetts, many of which were already polluted with industrial waste and municipal sewage. The scale of the survey was unprecedented: it led to the first state water-quality standards in the nation and the first modern municipal sewage treatment plant, in Lowell, Massachusetts. From 1887 to 1897 Richards served as official water analyst for the State Board of Health while continuing as an instructor at MIT—the rank she held at her death. She and her colleague A. G. Woodman wrote a classic text in the field of sanitary engineering: Air, Water, and Food from a Sanitary Standpoint (1900). 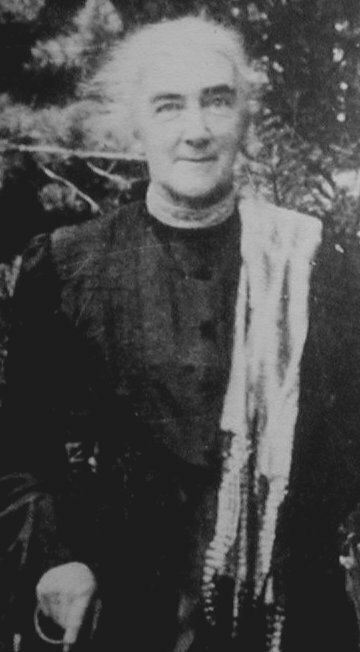 From her days at the Women’s Laboratory, Richards was very concerned to apply scientific principles to domestic topics—good nutrition, pure foods, proper clothing, physical fitness, sanitation, and efficient practices that would allow women more time for pursuits other than cooking and cleaning. In 1882 she published The Chemistry of Cooking and Cleaning: A Manual for Housekeepers. By setting up model kitchens open to the public, establishing programs of study, and organizing conferences, Richards campaigned tirelessly for the new discipline of home economics. Growing out of several summer conferences held at Lake Placid, New York, the American Home Economics Association was formed in 1908 with Richards as its first president.